Court Yard Hounds – self titled – this is the project of 2/3 of the Dixie Chicks. They were the talk of the town during SXSW and this disc came out not long after. The missing 1/3 is Natalie Maines (lead singer) so this album ends up being much more country to me – lots of fiddle and banjo highlighted which makes sense since that's Martie & Emily's forte. "Ain’t No Son" is a high energy song and "The Coast" is getting tons of airplay. It is a great song and has lots of Fleetwood Mac influences in it. It’s probably the most non-Country song on the disc and an easy song to sing along to. This is a nice CD to play as background music but it didn’t set my ears on fire. The New Pornographers – “Together” – one of my favorite new albums of 2010. This “supergroup” includes Neko Case who I have come to really like after some recommendations from my friend Bill in Seattle. The disc opens with the song “Moves” which has a really catchy sound to it and the refrain “These things get louder” just sticks in your head. The second song features Neko singing “Crash Years” and she just has a really unique voice. Another really catchy song with some great whistling in it – yes I said whistling. I honestly have no idea what the song is about but it’s just a fun song. I can imagine a big whistle along when this is played live. The thing I really like about this group is that the lead singers rotate and lots of harmony from the rest of the group. Other strong songs are “Your Hands” which sounds like a 70’s song from Yes or one of those art rock bands and "Silver Jenny Dollar" which could have come from the 60’s with it’s sound. A really fun album – not sure it’s making any great social statements but I am enjoying it none the less. 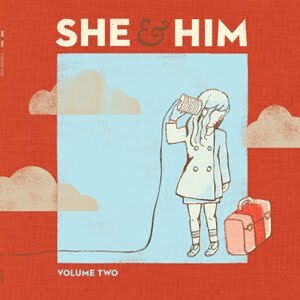 She & Him – “Volume II” – the sophomore effort from M. Ward and Zooey Deschanel. I have heard lots of good things about their debut and missed them a few times at SXSW so I was looking forward to this disc. I would have to say I’m disappointed as nearly every song sounds the same as the previous one. I guess she is some movie / TV actress but I’m not familiar with her but her voice never seems to change. The first song “Thieves” caught my ear but even though the melodies change on every song they sound the same to me. There just doesn’t seem to be much life in her voice to me so I’m not a big fan of this combination. It’s become another background album that seems to lead to a good nights sleep. 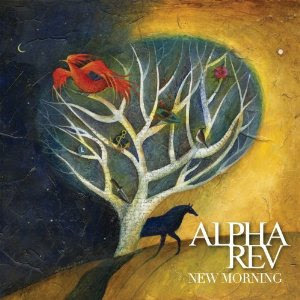 Alpha Rev – “New Morning” – a hot new Austin band that I have been hearing a lot about. The opening song “New Morning” is a great opener to the disc even if I don’t know why they think the Mona Lisa is broken. The more I write about music the less I really know what people are singing about – but don’t we all just want a catchy song with an easy to sing along to chorus. If that’s something you like this song fills the need. Good driving in the car tune that’s for sure. The next song “Phoenix Burn” may be an even stronger song. It’s a traditional power ballad and I can see it getting great airplay once “New Morning” loses steam. Other strong songs include “When Did I Wake Up” and “Face Down”. 4 out of the first 5 songs are in the power ballad mode and the album seems to mellow a little after that but 4 good songs on any disc is a win in my mind these days! I’d definitely recommend you give it a spin. The Hold Steady – “Heaven is Whenever” – lasts year best new find and so much fun when you see them live. This is a slightly different Hold Steady with the departure of keyboardist Franz Nicolay which ought to affect the live version since he was a real character. Another guitar was added to the band and this album reflects that sound. “Boys and Girls in America” and “Stay Positive” are 2 of my favorite albums from the last few years and they get a lot of IPod playtime. This new disc has a a similar sound but just not the quality of songs to me. “Sweet Part of the City” is a good opener but a little slow for my liking. “Rock Problems” is an interesting story about the problems of becoming rock stars which I think the Hold Steady is on the verge of but still not there. “Hurricane J” is the single from this album and it’s a classic Hold Steady song – my fear is has this group just becomes stereotyped – girls and bar songs – and have we grown tired of the same story over and over. It will be interesting to see where they go from here but I think the missing keyboards are an issue they are going to have to address. Need to see this new version live to see what the results look live in the club. 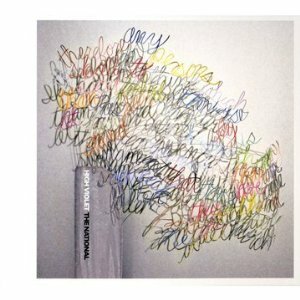 The National – “High Violet” – there is a huge buzz about this band and so I finally have checked them out. The voice of lead singer Matt Berninger is really unique and you certainly know it’s the National when they come on the Ipod. The opener “Terrible Love” just sounds dark – maybe more from his voice than from the song. It certainly is a unique sound and song 6 “Bloodbuzz Ohio” is getting a ton of airplay. It’s a great song but I’m not exactly how the bees are carrying him to Ohio – I guess it’s a really big swarm of bees. It’s a bizarre tune when you listen to the words – but still catches your ear everytime it’s played. Not sure I find much else on this disc to be excited about to be honest. Maybe I need to see them live. That's it for now- next up an in depth review of Tift's new album as well as a spectacular new release from the Gaslight Anthem as well as the story of our Denver and Neil Young excursions!